Tiffany Jones, Migration by a New Generation (from unFaded), 2016. Mixed media on wood panel, 16 x 20 in. 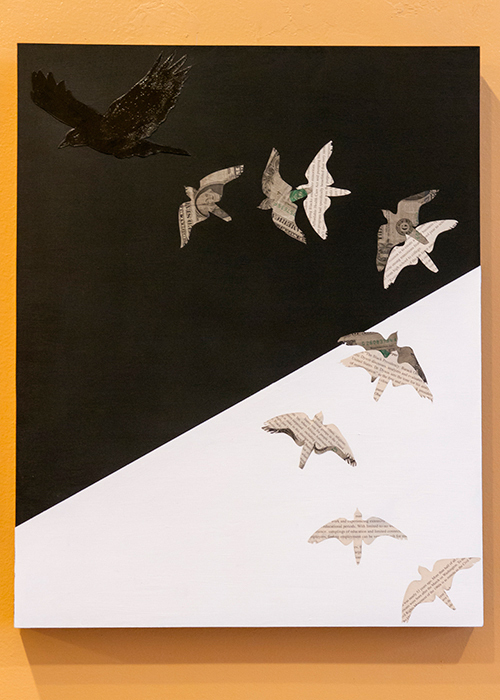 This entry was posted in Exhibitions and tagged artist response, contemporary artists, Jacob Lawrence, migrating, migration, migration stories, Panel 61, Panel61, The Migration Series. Bookmark the permalink.